The issues surrounding international SIP trunks can be complex, misleading, and lead to error-prone implementations. SIP trunks are viewed by many today as a commodity service. Most of the SIP trunking services providers have similar capabilities and pricing structures. While SIP trunks initially became attractive for connecting the IP PBX to the PSTN, SIP trunks now have evolved into providing on-net communications as well. SIP trunking has additionally fostered the development and the growth of session border controllers. Those looking at implementing SIP trunks domestically will discover similar capabilities, economic value, and risks. But this is not the case when you look at SIP trunks in the international market. Each year I attend the Negotiating Networks & Infrastructure Deals Summit put on by CCMI. And while the issues, concerns, and technologies have changed year over year, this conference has consistently delivered the content needed to be successful. The 2018 Summit featured two days of sessions, presentations, and other learning opportunities that can be applied to day-to-day operations. One of the sessions was on SIP Trunking and was presented by Andrew Brown, an attorney at LB3 and Tony Mangino, a project director at TechCaliber. They covered the benefits, deployment, pricing, and sourcing of SIP trunks. My attention was drawn to the part that reviewed the legal and contract risk assessments. When migrating to SIP trunks, there will be an impact on your legacy contracts. Your legacy contracts likely cover T1 and PRI network connections. You may wish to retain some of those legacy connections during the migration. You need to review existing commitments and your contract rights. 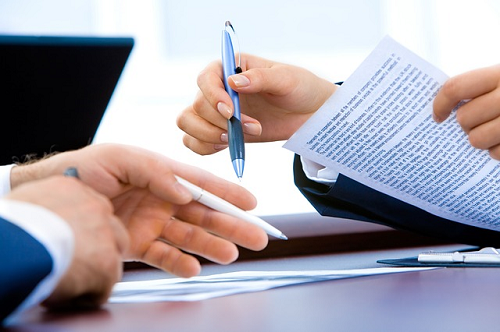 You should plan on negotiating waivers to your legacy contract charges. Your goal will be to absorb or minimize termination costs. You also need to look at rate impacts during the migration to SIP trunks. Your rates may actually increase. You need to be careful when trying to deploy SIP trunks to and within foreign countries, as a SIP trunk implementation may be in violation of local laws. Violating these laws can have significant consequences, such as terminating any communications capabilities to or within that country. There may be local requirements that are supplier licensing issues that can result in unexpected customer requirements as well. In my own experience, when I was setting up a network to European country, we thought we could use the voice connections for data transmission. We found out that was not legal. We had a hard time convincing the foreign country's agency not to terminate all communications to that country. It is very likely that the provider you are working with needs a license to operate within a foreign country. This could be through a direct license or through a licensed provider in that country. You need to know which and how that affects your contracts. Foreign laws and regulations will have both regulatory risk and a contractual risk. You may not know it, but the provider may try to shift the risk to the customer and absolve themselves from those risks. Risk shifting is a potential that should be expected from many providers. The session presented a statement used by a U.S. provider for this purpose. Assume that an equivalent statement can be found in other providers' agreements. "VoIP Restrictions. Customer acknowledges that a number of jurisdictions impose restrictions and/or licensing or registration conditions on VoIP transmission over the ....... facilities. To the extent of such regulations may apply, customer shall comply with those regulations and indemnify, defend, and hold ....... harmless for any claims arising from the customers violation of such regulations thereof." When you are dealing with a U.S.-based SIP trunk provider, ensure that you review the legal documents and liabilities you are accepting when connecting SIP trunks to and within other countries. Understand that it is very likely that any problems or breaches of the regulations end up being your responsibility and not your provider's problem.